“What are the best hikes in Oregon?” It’s one of the most difficult and most frequently asked questions. This state is so diverse that picking favorite hikes is hard. The best way to answer the question is to come up with 20 different hikes that, in one’s opinion, are the best in their category. The next time you’re driving the Oregon Coast Scenic Highway and want to take a side trip with the kids, follow the Siuslaw River near Florence to Sweet Creek Falls. The trailhead is easy to find, and the trail is mostly flat. We love this trail because of its numerous waterfalls. 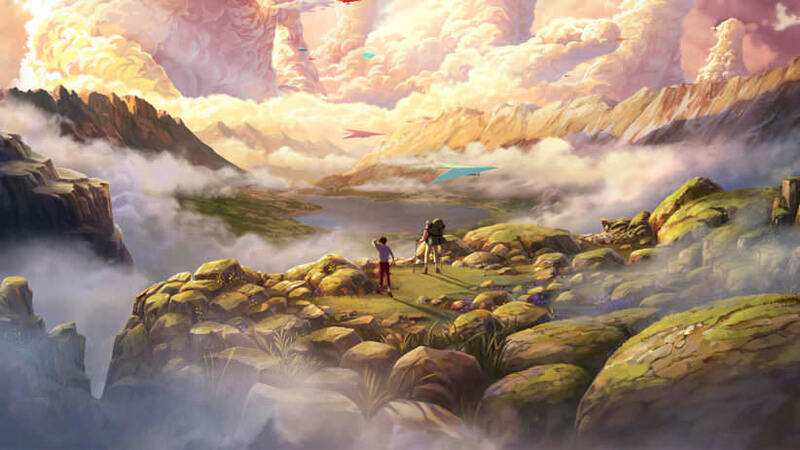 Kids of all ages will be impressed with waterfalls around every bend. In the summer, take off your shoes and wade in the cool water. This is a kid favorite! Everyone’s bucket list should include Crater Lake. If you’re a hiker and want to find one of the best views in the park, follow the Watchman Peak Trail to the top. The trail is steep but not terribly long, and there are places to rest along the way. At the top of trail, you’ll find an active fire lookout tower and a spectacular view of the lake. This isn’t just the best waterfall hike — this is the best hike for ancient lava flows, crystal clear water, hot springs, natural wonders… From hikers to mountain bikers, every person on this trail comes across as friendly. It is the iconic forest trail. It’s one of the most popular trails in Oregon, yet it’s never crowded. Just west of Clear Lake is Sahalie Falls, a stunning waterfall with a wheelchair-accessible viewing platform just off the parking lot. 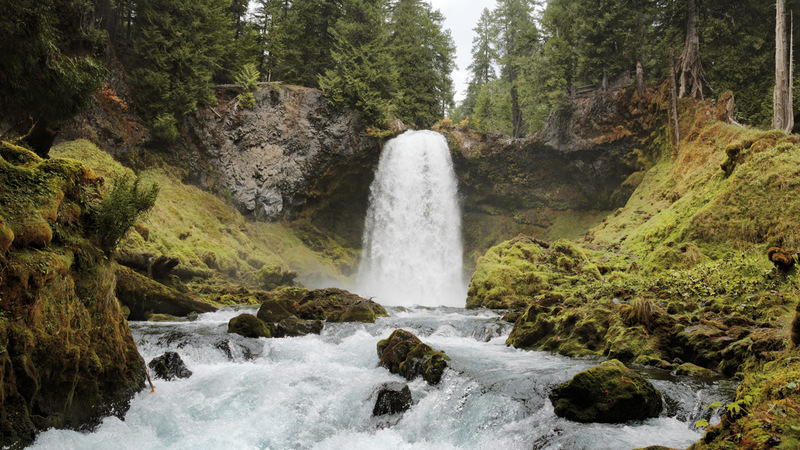 Those who are up for hiking can venture down the 1-mile-loop trail to Koosah Falls. Built near the end of the Civil War to guard the Columbia River from rogue Confederate ships, Fort Stevens is now an 11-square-mile state park that is rich in history. You can explore everything from a military museum to the shipwreck of the Peter Iredale and also watch Civil War reenactments. This is a must for history buffs of all ages. Many trails around Mount Hood are too snowy, icy or wet to hike in the spring, but this out-and-back 5-mile loop through old-growth forest is dreamy any time of year. Just 50 miles east of Portland, it’s an excellent place to unplug for a few hours, soak up that fresh, mossy scent of the forest and babble of the stream beside you, then head back to city life. Picking a best hike on the Oregon Coast is similar to picking a favorite color of M&Ms (by the way, blue is the best). 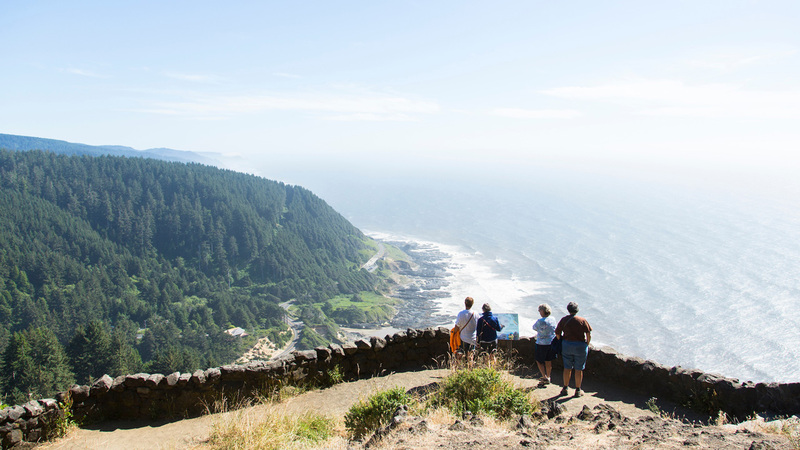 The coast hike that stands out to many as iconic is Cape Perpetua Scenic Area. You can explore tide pools, watch for whales, enjoy the power of a winter storm, and hunt for agates and floats in the most natural setting. No matter where you are in Oregon, you can’t help but notice the Cascade Range. Many of the peaks can be climbed, but none should be attempted without taking the proper precautions and without being fully prepared. With that said, the third-highest peak in Oregon is South Sister, and there is a trail to the top. You can hike to the top in a day or hike up to the meadow, camp and summit the next day. You don’t need technical climbing gear, just a lot of perseverance, water, snacks and a clear weather outlook. From the top you can see 360 degrees of Oregon. It’s one of the largest lakes in Oregon and one of the purest lakes in the world —so why not take your time and soak up every single minute of it. It’s both remote yet accessible, 30 miles southeast of Oakridge, in the Willamette National Forest. Gear up for 3.3 miles on kid-friendly terrain through a hemlock forest down to Bobby Lake, one of the many tiny lakes in the surrounding area. Make sure to camp in designated backcountry areas away from the lake; you can pitch a tent for no fee at any of the 50 primitive dispersed campsites around Waldo Lake, as well as at three developed campgrounds around the lake. Snowshoeing is a favorite winter activity in Oregon, and hands down a favorite trail is out of Gold Lake Sno-Park (near Willamette Pass). The Odell Lake Overlook trail is good for families and those looking for great exercise, beautiful scenery and an option to snow camp in one of the shelters. The overlook offers an unforgettable panorama. You can hike to the overlook and return the way you came, or extend the hike to the Pacific Crest Trail for an epic loop. The warming shelters are stocked with wood for the wood stoves. 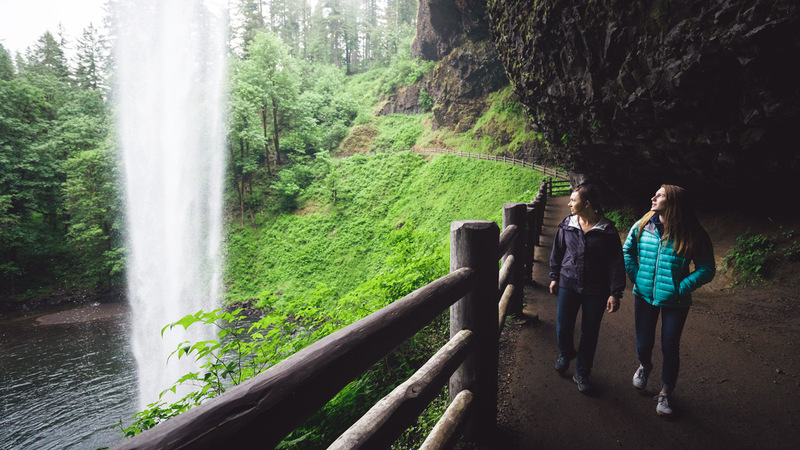 One of the best year-round hiking destinations is Silver Falls State Park, just outside of Salem, where you’ll find a variety of trails that range in difficulty from easy to moderate. The trails pass 10 waterfalls, five of which are over 100 feet high. In the spring, wildflowers are in abundance and in fall, the changing leaf colors are as soothing to the soul as a warm cup of hot cocoa by the fire. This trail could double as the best wildflower hike in June, when the meadow below is flooded with blooms. This trail is rated easy and is about 7.6 miles round-trip if you go all the way to the top — but you won’t need to go that far to enjoy the most stunning scenery. 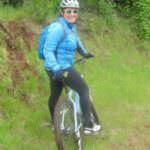 The trail is rarely crowded, but it’s shared with mountain bikers and has some very steep sides in places. Starting at the Samuel H. Boardman State Scenic Corridor, this trail starts from the Whaleshead Picnic Area, along the Oregon Coast Trail, to Thomas Creek Bridge trailhead. At six miles out and back, it traces the edge of cliffs and passes the stunning cliffside sand dunes called Indians Sands. Don’t forget to pack a picnic and binoculars (and remember to take your trash with you). One of the tallest mountains in Oregon at 9,700 feet, Steens Mountain is also one of the easiest to summit. You can practically drive to the top and then scramble up the rest on a trail. There are other hikes around here, and a multitude of trails in the area. Zumwalt Prairie has one of the highest concentrations of breeding hawks and eagles in the world and is the largest remaining grassland of its kind in North America. Most of the preserve is closed to hikers, but a few short trails give you access to viewing sites. 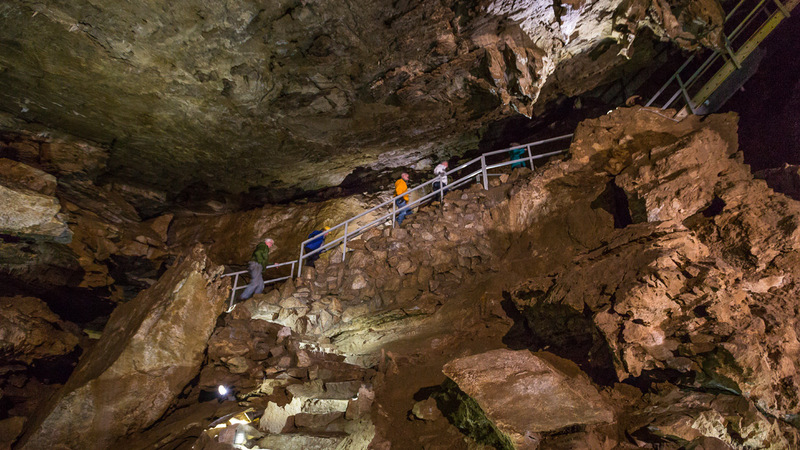 This hike can also be considered the best hike for spelunking. The only way to see inside the cave is to pay for the guided tour (an easy one-mile hike). Another hike from The Chateau (the Oregon Caves’ lodge) is out to Big Tree, one of the tallest Douglas firs in Oregon. This three-plus mile hike is a great way to burn off calories after lunch. The Pacific Crest National Scenic Trail extends from the border of California and Mexico to the Canadian border. Every year people hike the entire length. Many more hike sections of the trail. If you feel up for the challenge, you can spend a month or so hiking the Oregon section of the PCT and see the wild side of Oregon on foot. Many discover this stretch of trail while snowshoeing. Just east of Willamette Pass Ski Area, you’ll find the trailhead and PCT signs. Hike through the forest to beautiful Rosary Lakes. You can also opt to take the Willamette Pass Gondola to the trail. Given the altitude, you’re best off waiting until late summer to hike this unless you don’t mind mosquitoes. In search of whale blubber, Lewis and Clark’s expedition hiked 20 miles from Cape Disappointment to Cannon Beach. This trail is a fun way to put yourself in their shoes and imagine what the Coast was like back in the 1800s. Start at the trailhead located in Ecola State Park. One of many waterfall hikes in the region, the 2-mile trail to Fall Creek Falls is easy to access, just off the road next to Highway 138, about 30 miles east of Roseburg. If that seems remote, well yes, it’s remote. But you can get more bang for your buck by combining several in one day on your own waterfall crawl: Visit others along Highway 138, including Watson Falls (1 mile), Tokatee Falls (1 mile) and Wolf Creek Falls (2 miles), especially impressive in the spring with a powerful cascade. The Oregon Garden is a treasure for those who are interested in flowers and plants of the Northwest. The 11 acres of botanical gardens can be explored by foot or by tram, making this an ideal destination for those who have limited mobility. Explore the water garden, children’s discovery garden, home demonstration garden, medicinal garden, pet-friendly garden, rose garden, sensory garden, wetlands, Rediscovery Forest and more. Whenever you head out on the trail, keep in mind that public trails are for everyone, so please be mindful of all users — whether they are hikers, runners, cyclists or dog-walkers. Pack out all trash (including food scraps, garbage and pet waste) and do your best to leave the place cleaner than you found it, for generations to come. Come prepared for your trip with layers suited for the season, such as rain gear and boots; as well as plenty of water, snacks, fuel and trail maps. Before you head out, check road conditions and any closure information and travel alerts. Happy trails!